A restaurant mission statement is used to convey your restaurant's raison d'être – or reason for being – to potential customers, the media, investors, really anyone who hasn't come in contact with your brand before. It makes you really stop and think about why you got in this business in the first place. It aligns the many moving parts within your restaurant under one, consistent message. It makes making business decisions easier, regardless of who within your restaurant is in the driver's seat. When faced with a choice, you can now ask yourself: does this move my restaurant's mission forward? If not, why are we doing it? It tells the world what you're all about and separates you from your competition. Creating a restaurant mission statement takes some soul searching. To get the process kicked off, you will need to spend some time thinking through your restaurant's core values; they are the root from which your restaurant's brand, mission, and vision grow. We suggest checking out this helpful post all about restaurant core values written by restaurant industry expert, consultant, and author, Donald Burns. As Roy Disney said, "it's not hard to make decisions when you know what your core values are." Hey, you've got to learn from the best to be the best. In the same spirit, we've compiled a list of restaurant mission statements from every corner of the industry to inspire you as you focus on creating one that suits your concept. Without further ado, here is a very long list of clever, inspiring, and all around great restaurant mission statements to get your creative juices flowing. Our goal is to provide incredible taste at a modest price point in a welcoming, stylish atmosphere. Mission Statement: To offer reasonably priced quality food, served quickly, in attractive, clean surroundings. Vision Statement: To be the most profitable QSR business, through a strong franchise system and great people, serving the best burgers in the world. Ensuring that better food, prepared from whole, unprocessed ingredients is accessible to everyone. Increase customer satisfaction and loyalty by providing the fastest and most accurate service, the freshest products, in the friendliest and cleanest environment. We accomplish this through teamwork, communication, honesty, fun and sharing experiences as we all grow together. Make amazing food - Offer warm welcoming service - Give back to the neighborhood - Run an efficient, profitable business - Make Flour a better place for both our customers and ourselves. Serve only the highest quality product, prepare it in a clean and sparkling environment, and serve it in a warm and friendly manner. Mission Statement: To become the world’s leading blender of fruit and other naturally healthy ingredients. Purpose Statement: To inspire and simplify healthy living. Vision Statement: To move with velocity to drive profitable growth and become an even better McDonald’s serving more customers delicious food each day around the world. To provide a one-of-a-kind experience that energizes everyone with an enthusiastic welcome, exceptional service, awesome food, killer tunes, and an unforgettable time. As the only national snack shop, Orange Leaf encourages people to be one-of-a-kind originals by creatively mixing and mashing up bites, flavors, music, and art to create an experience that's as unique as they are. A loaf of bread in every arm. Be inspired to make a difference one pie at a time. 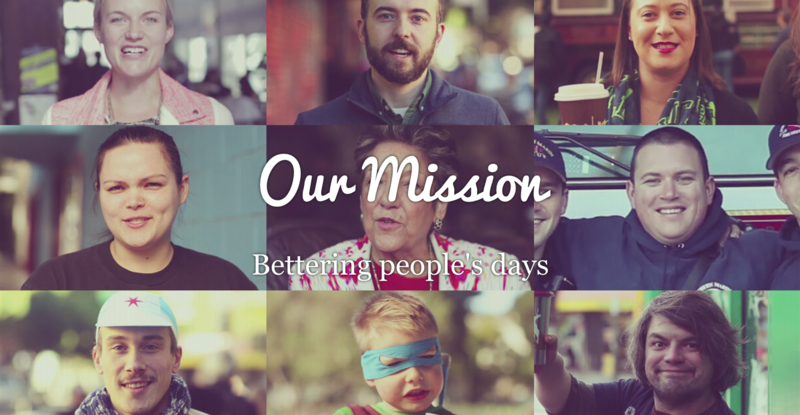 To inspire and nurture the human spirit - one person, one cup, and one neighborhood at a time. Becoming a real part of every neighborhood we open in. Mission Statement: Consistently create encore experiences that enrich lives, one person at a time. 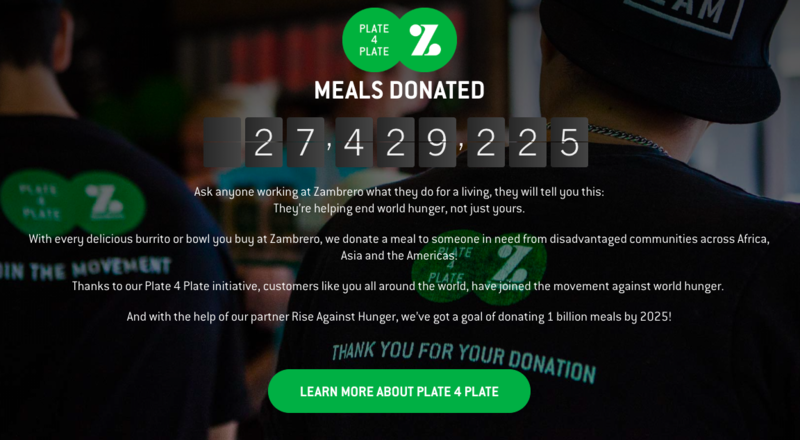 A mexican restaurant with a mission to end world hunger. Whether it's your restaurant's mission to end world hunger, introduce the world to a new cuisine, or to be a strong community partner, kudos to you for following your dream and standing for something. Now that you've done the hard work involved in developing your restaurant's brand, mission, vision, and core values, it's time to put them to work by developing your restaurant's marketing plan. Click below to download our free guide to get your restaurant set up for marketing success in 2019 and beyond.